Almost everyone’s life story has a chapter titled “The One That Got Away”. The story line is almost always the same, someone amazing comes into the picture, but for some reason, doesn’t stay. The reasons for separation make up the climax of the chapter. The desire to stay with this person clashes with unforeseen events that change the course of the relationship forever. The end of the relationship writes itself a cruel paradox. Sometimes both parties know why it ended, they were in two different places in life, one or both could not meet expectations of the relationship, or maybe there was too much distance between them. Sometimes the reason is unknown. Nevertheless, that person seems to leave a hole in the other’s life or a thought that never truly diminishes. Life goes on, other relationships come and go, but what about that “one that got away”? I was seventeen when I met my “what if”. I had just left a relationship with who I’ll call Mr. Rebound. I came off of a bad breakup and ran into Mr. Rebound while out with friends. He was all wrong for me but I just had my heart broke. I wasn’t attracted to Mr. Rebound, but he made it known that he was interested in me. I felt a desperation to find someone who wouldn’t hurt me in the way I was hurt in my previous relationship and Mr. Rebound said all the right things. We dated for a while but something was missing, there was no spark and I couldn’t think of a relationship with him in the long term, so I ended it. Some time after my break-up, Mr. What If and I were spending time together. I was a bit apprehensive because I had met him before, he was friends with my heartbreak. Spending time with him didn’t concern me, but the more time I spent with him, the more I felt a change in the way I felt with him. When I started to have feelings, I began to overanalyze everything. Did his friend talk to him about me? Could I allow myself to be vulnerable again? Would I get hurt all over again? His friend was my first intense relationship. I was very young and I had a hard time picking myself up after the breakup. Life for me was complicated beyond this breakup, so I decided to take everything very slow. I was afraid. I was afraid of the feelings I was developing. I was afraid of getting hurt. I think he needed more than I was willing to give. As great as it felt to feel that spark with someone, it ended rather abruptly. He told me he decided to pursue a relationship with someone else. I was disappointed. I felt like it had ended before I allowed myself the opportunity to let go. Of course Mr. Rebound was waiting with his promises not to hurt me. And because I believed all my fears had manifested, I went back to Mr. Rebound. The truth was, I was vulnerable and he interjected himself back into my life. I gave up the passion I felt with Mr. What If for the promises of Mr. Rebound. I didn’t have to be afraid of my feelings when I wasn’t overrun by them. Sometimes control is lost in the moment and I tried to control too much with Mr. What If. Many describe a good romance as a “whirlwind romance”. They get caught up in the emotions like the turbulent wind of a tornado, exhilaration and fear lift in unison. 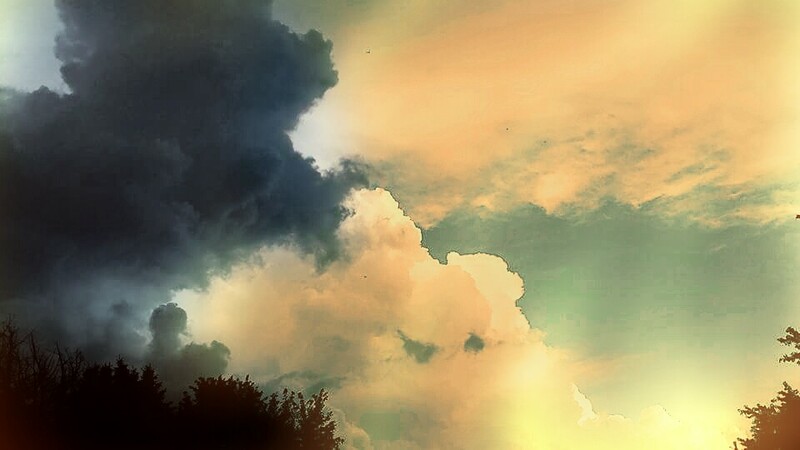 I have wondered what it would have been like if I would have just let go and let myself be taken in the updraft. I know I missed out on a passionate experience that could have broken my heart but that’s always a part of falling in love. Falling in love means letting go and losing that control. Why didn’t I see that great highs always come with the possibilities of crushing lows? That’s essentially the mantra of a good life, live it as well as possible without fear. Fear kept me from experiencing the fullness of this relationship. Fear made me go back to a relationship that broke me emotionally and eventually ended four years later. Staying or getting into a relationship out of fear is never a good idea because when a relationship isn’t pursued for the right reasons, red flags can be missed. I missed lots of red flags with Mr. Rebound. I missed out on what I could have had with Mr. What If. Instead I was going through the motions, trying to convince myself that the “spark” didn’t matter. Relationships are worth going all in for, but with the right person and for the right reasons. Once I realized I may have missed out on an opportunity to fall in love, I didn’t want to miss it again. This meant my first marriage ultimately ended in divorce. I was single for several months and I never had the opportunity to try again with him, so this chapter of my life closed when I remarried almost fourteen years ago. Life has a way of using each experience for growth. Although I wish I could have changed some things in my past, my past helped shape who I am. I don’t think the “what if” is as important as living life to the fullest to eliminate as many “what ifs” as possible. Love without fear of heartbreak because a broken heart means one loved with all of their heart. 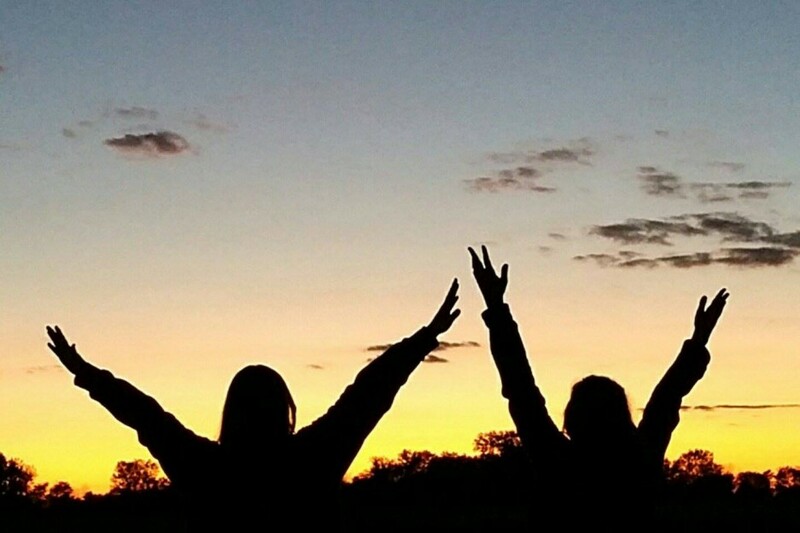 Live each moment to the fullest because you may not get a second chance. So this is my chapter entitled “The One That Got Away”. Thank goodness it’s not where my story ends. There were still great things to come. Tonight the phrase “live for today” has been ringing in my ears. I’m in significant pain. 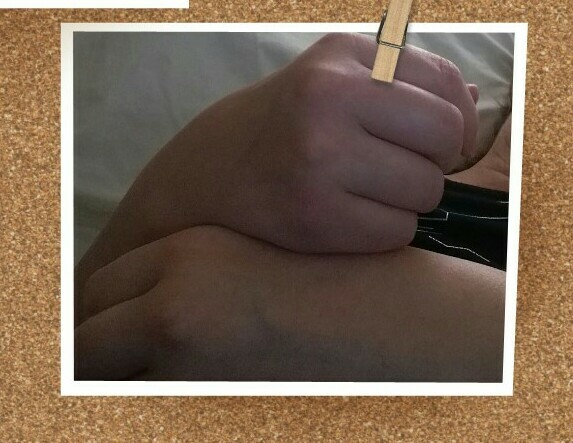 I have rheumatoid arthritis and it has been destroying my joints quickly over the last year and a half. I suspect I have had it longer than the year and a half since I was diagnosed but the symptoms that led to the diagnosis were too much to ignore after I stopped nursing my fourth and last child. It’s been quite a ride since. 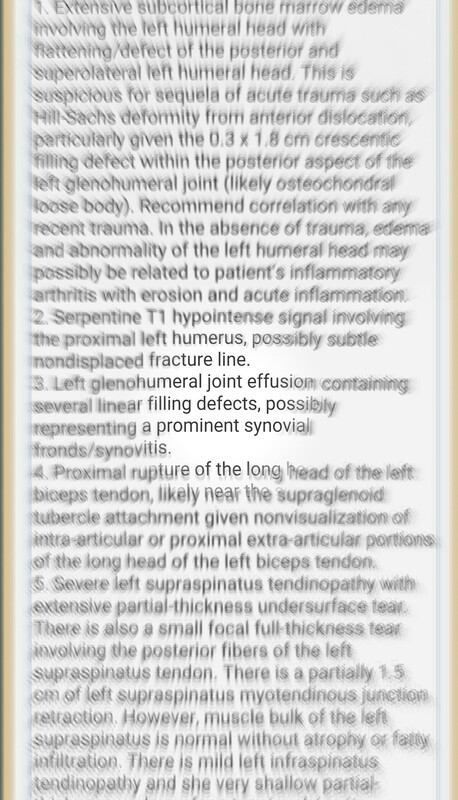 My rheumatologist thought I had a pretty mild case until last summer when my symptoms became severe. The disease has made it it’s business to deform my hands, destroy my shoulders and knees, and cause me daily pain. Tonight I am once again in my bed watching a movie, writing, resting and desperately doing anything to keep my mind off of the pain. While my family plays downstairs, I am up here in pain, wishing the disease would go into remission. I know I am not alone. There are many people just like me who are wrestling with disease, desperately wishing the pain would stop. Each day I’m in pain reminds me of the damage the disease is doing because the deformity of my joints doesn’t happen without pain. Pain is all I think about these days. How much pain will I wake up in today? Will I be able to get my housework done? 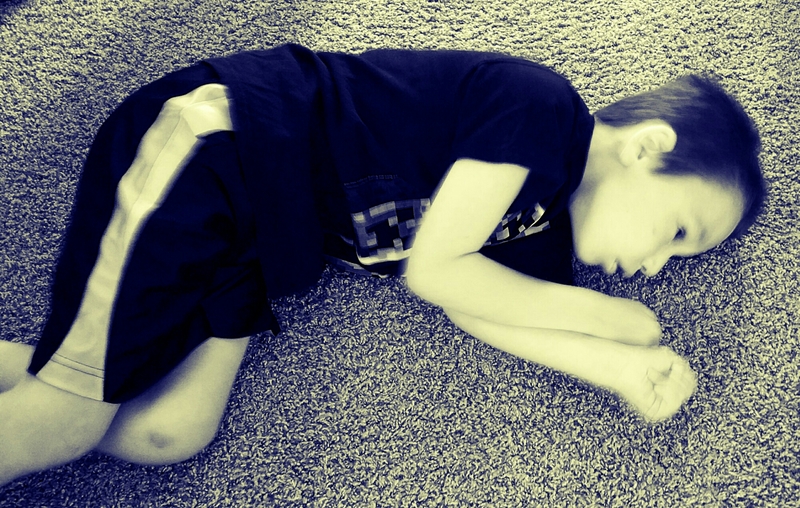 Will I be able to handle one of my son’s serious seizures? Can I get through the day? There have been numerous days when my little girls played a game on my bed, danced around my room, and seemed more than understanding when their mommy has been unable to get out of bed. Now that summer is here and all four are at home, how will all of us handle one of those inevitable days? Today a picture did me in. It was a photo a mom snapped and posted on social media of her daughter jumping into the pool. She captioned it something like this, “my daughter is getting braver during her swim lessons”. It broke my heart because none of my children have had swim lessons. Not one of my children from nine years old to two knows how to swim. The excuses for which have amounted to one or all of the following; too many kids for the pain, the added stress of taking a special needs child, and financial stress. My kids miss out on a lot and I know I am to blame. Now that I have rheumatoid arthritis, I’m not sure if my son will ever have the opportunity to hit a home run during summer t-ball or if I will be able to see my daughters in a dance recital. 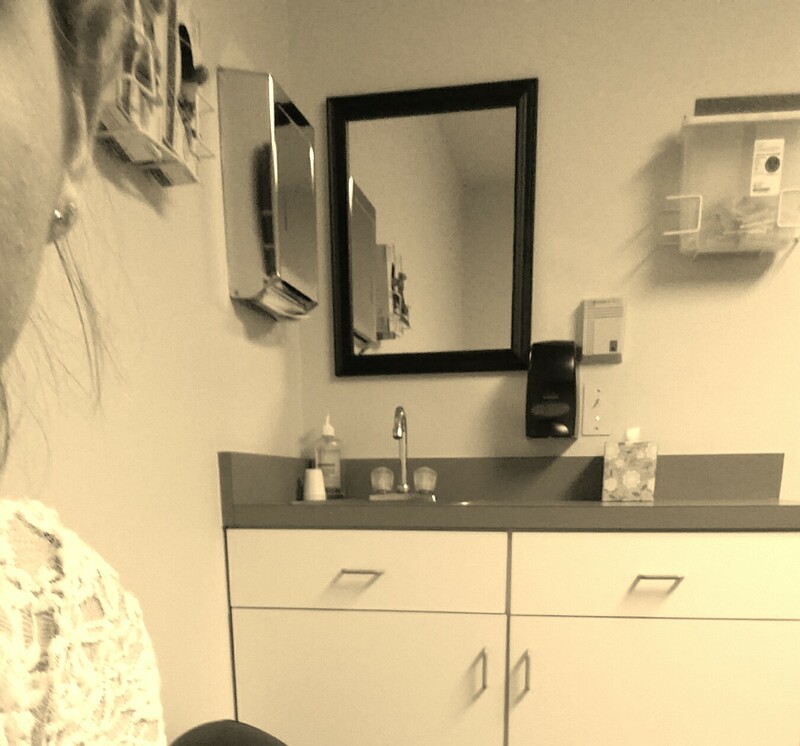 Disease has not only robbed me, but each one of my kids. On the other hand, I get to spend a lot of time with my children. I get to enjoy every last minute of their childhood and I wouldn’t trade that privilege for anything in the world. I know I can’t give them all the opportunities I think they deserve, but my husband and I have tried to give them mommy. I have been here as much as possible since our oldest was born. I had a part time job for five years but quit to take care of our medically complex child three years ago. Mommy may not be able to take them to all the places they want to go, but they know I will always be here for them. These thoughts brought me to “live for today” and was finished with the thought “because tomorrow is never guaranteed”. Nothing drives this point home quite like chronic illness. I never forget that my disease could be damaging my organs at a speed equal to the damage it has done to my joints or epilepsy could take my little boy as he sleeps at night. It’s hard to take the advice of others who think I should “keep smiling” or say, “hang in there!”. It’s hard because no one can fill in for me and take the non-stop mental or physical pain. One compounds on the other until I finally break. 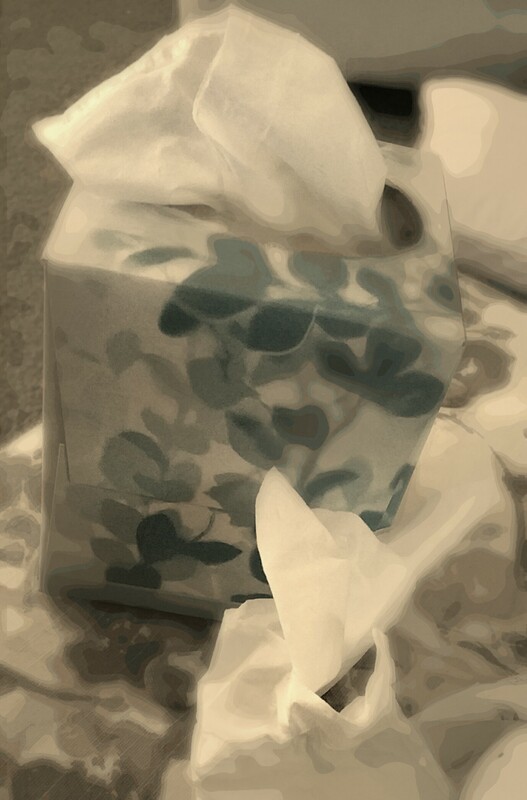 About once a month my husband can expect me to cry through a box of tissues. Every last worry comes spilling out and I blame myself for all these thoughts and more. Maybe it’s then when the reality of our life becomes abundantly clear; so much has changed in very little time. It wasn’t that long ago when I held my newborn son and he was seemingly healthy. I looked at him and saw a lifetime of memories in his little eyes. I could envision a future filled with all of those things a mom expects. It took a ten second seizure to change all of that. Our little boy had an incurable disease and the future didn’t look as certain. Two years ago I could hold each of my children and not think twice about how I was going to get through the day. Now my children crawl on my lap to be held and they know they have to be careful around their now fragile mother. I wake up wondering how hard it will be to get through the day. Did I really appreciate everything I had before it changed? Do I appreciate what I have now? I hope so but since I know how fast things can change, I try to thank God for today. Today is all I have and each second beyond that is a gift. I’m still struggling with each second but I’m glad I have another. Disease can change the future we may have anticipated for our son, my physical appearance, and the way we look at life but it can’t take away the love in this family. Disease didn’t anticipate unconditional love. We don’t have to guess if love will prevail in sickness and in health, it already has. There is no doubt if my husband will love me even if I don’t look like the woman he married because I already don’t. Our children will never wonder if something they will do will alter our love because they have witnessed it prevail through it all. I think I should change “live for today” to “love for today”. Disease can take what it will but it can’t take our love, nothing can take that, and for that, I am truly thankful. While we were at Texas Children’s Hospital (my son was having neurosurgery work-up) we had at least 8 hours to occupy while my son had tests run on our last day there.. We passed by the chapel many times that week but I never had time to stop. The opportunity seemed right so my husband and I sat in the little chapel. It was round, the ceiling had tiny lights that looked like stars, and the lighting changed over the course of ten minutes or so until all the lights dimmed and the tiny stars seemed to twinkle. I admired the quaint little room for the ten minute round of lighting changes. As the lights went from dark to light, I felt a familiar presence I hadn’t felt in a while. It was the feeling of the most loved of friends. It’s the one friend that knows me like no one will ever know me and loves me more than anyone could ever love me. It was the presence of the Lord. I have always thought of myself as a woman of great faith. I had inspiration to give to others in their times of need and I believed God could cover and heal any hurt, but for the past seven years, the hurt in my own personal life had grown and finally gave way to more doubt than unfaltering belief. Since my son was diagnosed, everything became more difficult. The older he got, the harder it was to deny what the disease was robbing from him. He has been denied the opportunities that naturally come to other little boys his age. Despite it all, my husband and I continued the same plans to grow our family as we had planned before either of our boys were born. He and I were blessed with our two daughters. Our life was indeed a mixed bag of blessings and sorrow. 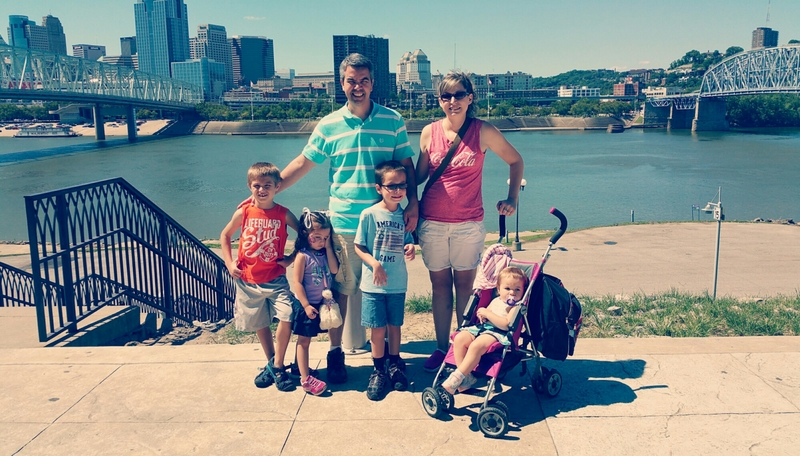 After his diagnosis, we would be blessed greatly with things like when our girls were born, but were faced with things like mounting medical bills that strained our finances so greatly that we’d barely were able to afford groceries for the month, if at all. Life felt more like a rollercoaster than the dream we had once envisioned. Then I got sick. Many probably thought I became incredibly selfish when I anxiously wanted to find a cure for my Rheumatoid Arthritis when my little boy was still suffering. I may have been. I had spent the last seven years fighting for him and I didn’t want a disease to change that. I also didn’t want anything to take me from him, or any of my other children. I wanted to be here to experience the joys and sorrows because this life was meant for me and no one else, despite how much I wanted to rid our life of the lows we frequently experience. I wanted so badly to assure my place on this Earth with my family, yet my faith was weak. I didn’t understand why I had been handed this illness in addition to everything else we were given. “Why Lord do you give me a disease that is wrecking my body when you know I have a son with epilepsy? Have you forgot I NEED to physically assist him?” Enough was enough and I could not understand this cruel addition to our already full plate. I had no encouraging words of wisdom or anticipation of His healing. I felt lost and alone and I felt like He had abandoned me. Many people can quote words of wisdom like I once did, or jump out of bed with boundless enthusiasm and a positive outlook when their life doesn’t feel like a constant tug of war. It amazed me how many people became judgmental and claimed “they would have done it better”. It’s like the first time parents who sit and judge those who already have children, claiming they will get it “right” just to eventually find out that parenthood isn’t about getting it “right” as much as it is about doing the best you can. Once someone is no longer sitting on the sidelines but rather in the situation, the answers aren’t so clear and it isn’t as easy as once thought. This is where compassion and understanding grow. It grows out of the times we are at the top of the rollercoaster of life staring down from the top of the hill almost sick with the anticipation of the next steep decline. It’s when we are facing fear, and maybe the unknown, that we possibly have our best understanding of those people we once judged. To be honest, I don’t like the person I once was, I lacked compassion and understanding. I still don’t like many of my own qualities and I know I have a lot to learn, but I do know most people only desire understanding. So this was my life; I felt like the Lord had abandoned me, I feared constant judgement, and all the while my disease, as well as Aiden’s, was getting worse. I was sick of the rollercoaster and wanted off. One of the worst days I had this last week in Texas was the first day we were admitted into the Epilepsy Monitoring Unit. We had been running nonstop since we left home. I was already hurting but when I laid down in our son’s room (on the tiny pull out sofa barely big enough for Doug and I), the pain I was already in got much worse. Nothing I could do was enough to ease my pain. my husband rubbed my hands and wrists until I fell asleep but I eventually woke and crawled into bed with our son. His hospital bed allowed me to sit up a bit and we were already playing musical beds as we adjusted to our new surroundings. There is something more than cuddling next to him that gives me comfort. I feel like I have been allowed to understand him more since my own diagnosis, and maybe he understands me, you never know… It is a blessing and a curse because I often wonder if he feels pain like I did that night, yet he struggles to communicate. Now I am more aware where I wasn’t before because I have been allowed to suffer. My eyes have been opened to many things since I now physically suffer. So that afternoon when I felt the Lord’s presence so strong, I was reminded that we aren’t guaranteed an easy life. Many children in that very hospital were facing much more than I. You don’t have to be a Christian to realize this. Nowhere are we told life will be as we wish but we are given one gift, that is life itself. Life is precious. I need to accept that my life will never be free of pain, physical or emotional, but I am given the opportunity to wake up each day. Some would finish this by saying “it’s what you decide to do with it that matters”, well, I disagree. I often don’t have a choice what I can do with my day. It has been at the mercy of one disease or another for over seven years now. I just can’t wake up with a will to conquer over my disease. 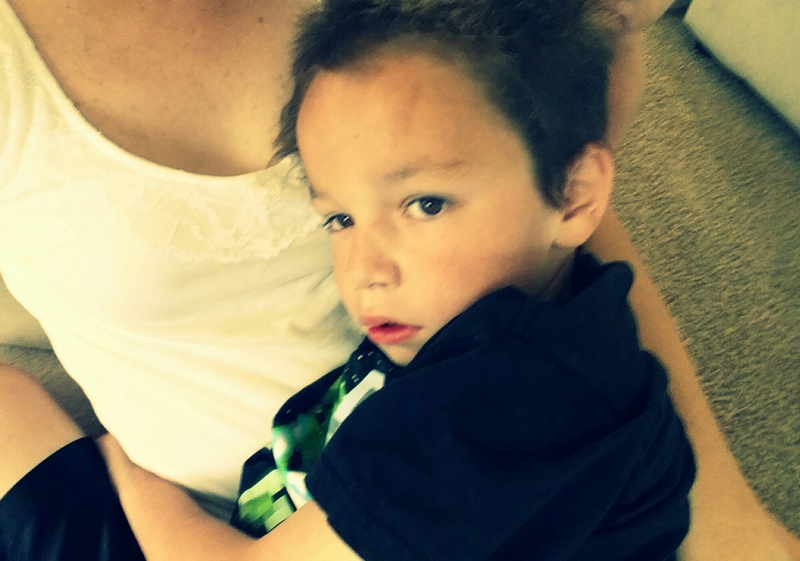 I can’t will my pain away anymore than my son can stop himself from having a seizure. We deal with what we can’t control first and then we decide what we can do from there. Things don’t change just because we want them to change, so reminds me of my need for people and a God who understand. My fear of my disease has been mostly about my own fear of death. Although my faith teaches me that there is more to life after death, I was afraid. I began to allow this fear to control my faith. It was a reminder of Jesus’ prayer in the garden before his own death that allowed me to once again embrace my faith. Jesus, knowing the outcome of his own death and what it would accomplish, still agonized over it so much that he sweat drops of blood. Whether this is a metaphor doesn’t matter as much as the fear even he had over the events before him. God wanted me to know it’s okay to feel unsure of what is before me. My son and I will still struggle but we will do it together. The path we face is unclear but we are reminded of his presence in quiet moments in a small room with twinkling lights or through people put in our lives for a reason. We are either on the sidelines watching the rollercoaster of a life someone else is living or we are in the front seat of it, it’s the understanding and unconditional loves that helps us get through because you will never know when you will be in the unexpected. All you have is right now, the precious life you are gifted. I’m going to take it, pain and all because sometimes pain is the only way God saves us from ourselves. Pain is a despised beauty that can shape our understanding and allow us great compassion. Just because it isn’t understood doesn’t mean it has no purpose. I’m grateful I still have today to learn. Today my oldest son was sent home sick from school. I knew it was going to happen. I had seen other moms post photos of their kids next to trash cans or their status updates would warn others to stay away from the plague upon their homes. All I could do was wait for those germs to make their way through the school halls and come through my front door. Today the plague arrived. Illnesses are treated much differently in our home. We are careful to separate sick children from the well ones and clean thoroughly, but we also try our best to keep them from coming in our home in the first place. With a chronically ill child on a chemotherapy drug and a mom who has an auto-immune disease, every illness has to be treated as if it has the potential to send us to the hospital. My ritual of telling the germs they are not welcome comes via a seasonal social media update, it reads something like this, “With cold and flu season upon us, we ask that you stay away from our family if you have been sick or have been around anyone who has been sick. Please make sure you are completely free of illness before visiting our home.” It’s simple and to the point but there is always more I could add like, “We ask you refrain from our home during flu season. We are more susceptible to getting the flu, but your small flu could send those in this home with chronic illness(s) and/or autoimmune disorders to the hosptial. Your flu could be devistating to our health.” I don’t want to come off as too pessimistic but illnesses pose a higher risk for those who are already chronically ill. I take quite a bit of medication to try to build up whatever immune system I have so I can care for sick kids when the plague does arrive, but it doesn’t always work. I sometimes succumb to illnesses and I need help. These days asking for help is increasingly hard. I was scrolling through Facebook and someone had posted a quote that read something like this, “My greatest accomplishment in life is knowing I never depended on or was a burden to anyone else…..” I read it, made a face, read it again, and mumbled something under my breath. This quote may indicate that the author is a go-getter, someone who is independent and self-reliant. Those observations could very well be true, but the statement tells the world that there should be some great pride in not being a burden to others; so much so that this quote was paired with a beautiful photo, nice enough to hang on a wall if someone so desired. What I mumbled under my breath was this, “So what if something happened to this author and he had no choice but to rely on someone else? What about those who have no choice but to rely on someone else? ?…..” What did this “inspirational” quote say about those who need the daily help of others? Reliance = burden? This quote could very well be an excellent life goal for an independent person but to someone like me who increasingly relies on the help of others, it makes me feel a bit…….worthless. I can no longer proudly proclaim how I care for myself and my family with complete independence. 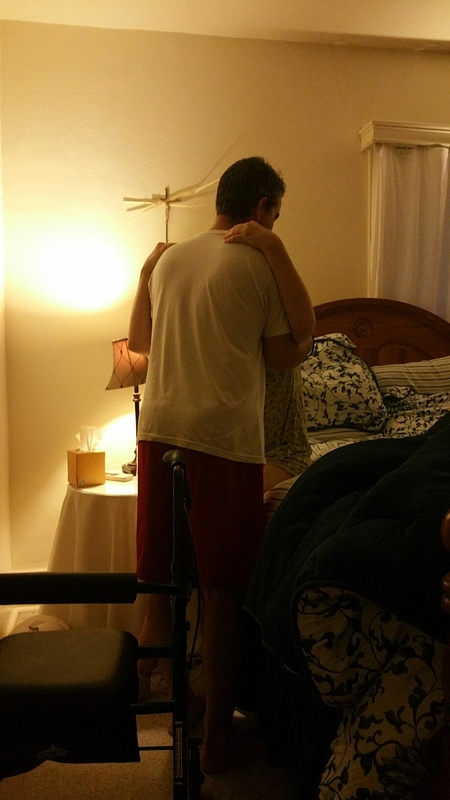 Until my disease is better controlled, I frequently need the assistance of loved ones. I can’t even walk long distances without the assistance of a rollator! (Yes, I am the one behind the pink and sparkly rollator.) So I have felt like my life has been on hold since my diagnoses, but does that mean I’m worthless? 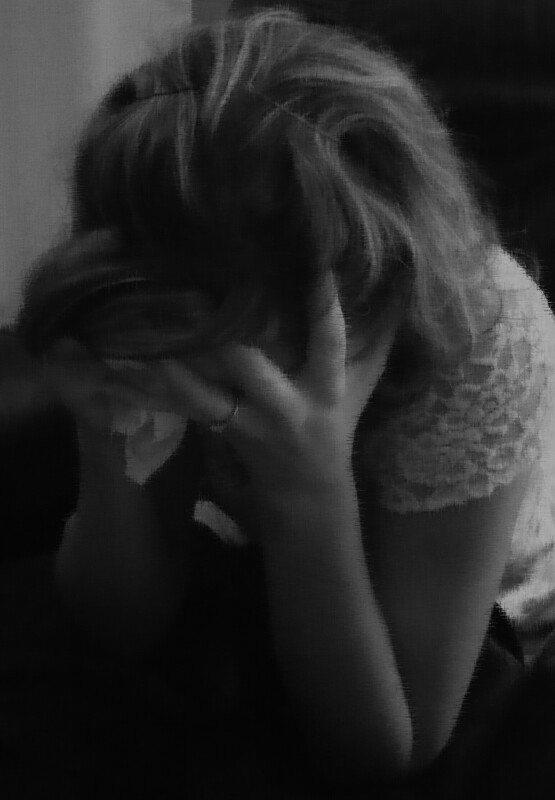 I have spent many evenings cuddling a tissue box because I was crying over my feelings of worthlessness. I can’t escape the fact that I have times when I need extensive help from my husband because my RA is so severe. I still look for “good days” when my pain is minimal and I am able to leave the house or do a little of what I was able to do with ease not that long ago. It’s hard to live in a society of people who value what you can do more than who you are. Sometimes it is hard to find meaning when it’s hard to fulfill a purpose my body physically couldn’t possibly fulfill. 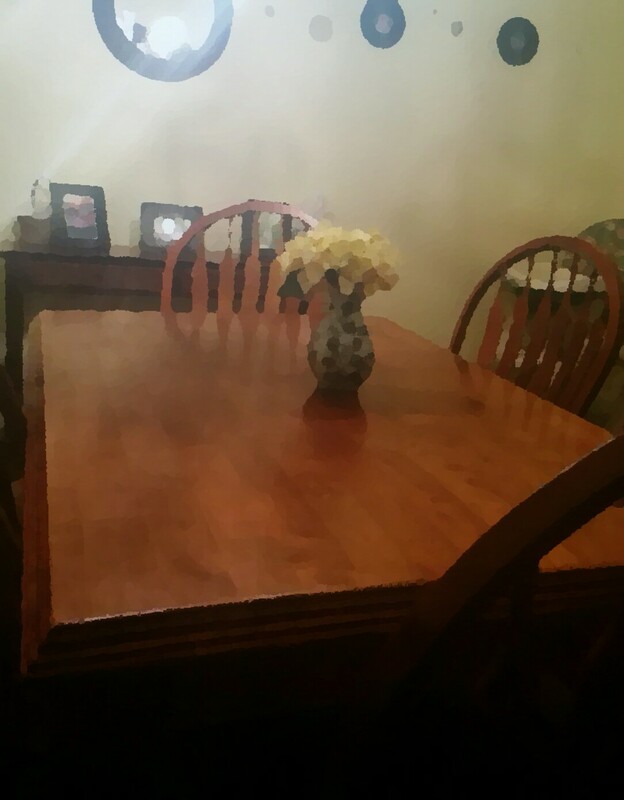 Then one morning after reading our morning devotional, many things came into focus. My faith teaches that we are created to be loved by a God, a God who finds pleasure in our love for Him. That same morning I looked at my special needs son after our reading and said, “Your purpose in life is to love and be loved! And we love you so much!” It was then when my light bulb went off. My purpose and meaning really isn’t measured by what I can do or how I can do it, in fact, it’s not meant to be measurable at all. My little boy may never be able to fully understand many things in life. He has limited expressive communication skills but that doesn’t mean he can fulfill the purpose we were are created to fill, to be loved. If the only thing my son ever accomplishes in his life is to be loved, it’s a pretty sweet accomplishment. No one knows the course of our lives and those who are the goal oriented, go-getters may someday find themselves relying on others to accomplish those tasks that were simple for them not that long ago. That does not mean those people have lost their worth because of it. No, their value was and will always be the same. They are valued and loved for who they are. Don’t get me wrong, working hard and accomplishing dreams are great but there are those who are struggling to find value because we live in a society hung up on what we do more than who we are. All the valuables in the world mean nothing to someone with an empty heart. You are meant to be loved. You are loved and made for a purpose, and that purpose isn’t measurable by things of this Earth. We may not all have equal valuables but we are all of equal value. Once I realized this, I have spent less time cozy-ing up to the box of tissues. I realized that my life can be spent in love and service to others and to a God who delights in my life. I want to invite you in to my life. This will be extremely difficult for me. I am a private and sometimes quiet person but what I have to show you is important. It is a glimpse into the life of someone who is living with Rheumatoid Arthritis and Fibromyalgia. I also have four children and one of them has a disease called Tuberous Sclerosis Complex. He is multi-disabled. Among several secondary diagnoses, he has epilepsy and autism. I want to capture my life in pictures to put a face to invisible disease. I want to give a voice to others who also struggle silently. Many people, like my family, face difficult daily challenges so I hope my story will serve as a reminder to be kind to others. You never know what challenges someone else is facing. This is how you might see me in public on a typical day. On this day I had another rheumatologist appointment. 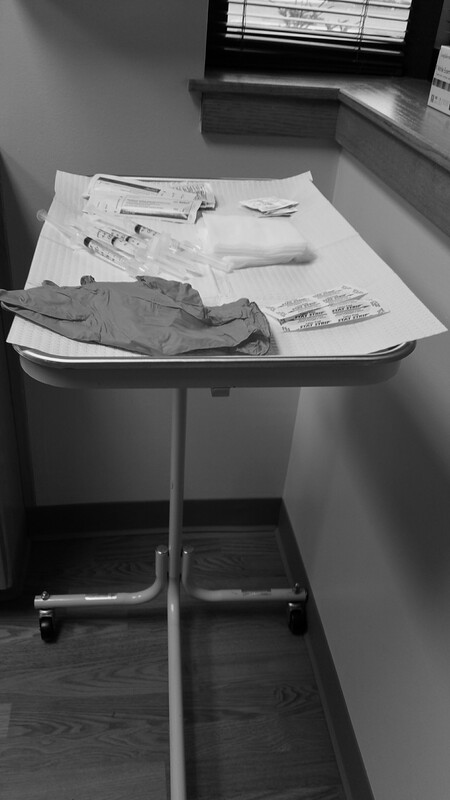 I was brought back to the exam room and four needles were arranged neatly on a tray. I have never been too excited about needles and this had me nervously thinking about the five injections I had already received since the beginning of the year. I suspected these syringes had something to do with the problem of pain in my shoulders the Dr. and I discussed at my last appointment. I tried to prepare myself mentally for what was to come. Waiting thirty minutes gave me time to doubt accepting these additional injections, but I reluctantly elected to take them in hopes of increased mobility. Unfortunately, it landed me in an ambulance with a suspected allergic reaction. It also altered how I could be treated in the future. A few short weeks later the only positive side effects of my shots had worn off. The anti-inflammatory properties were gone and my RA took over. I was experiencing my first RA flare. I could describe it simply by saying, “it hurt to move” but I was unprepared for this kind of pain. I was shocked, reeling in pain from the smallest movements. Fibromyalgia gave me a secondary blow as it pained the area around the joint effected by RA. 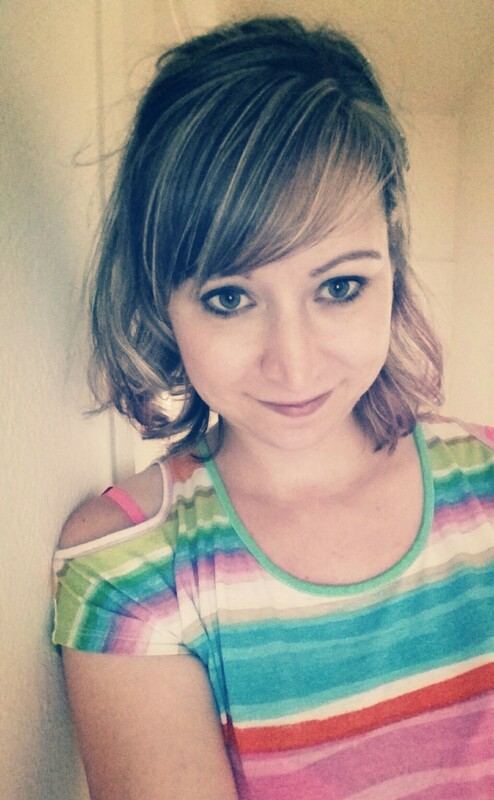 In a matter of weeks, I went from a 34 year-old mother of four who was keeping up with her children, to a woman unrecognizable to even myself. I revisited the rheumatologist and began physical therapy in hopes of any relief. At the advice of my physical therapist, I purchased a rollator. It would help with my mobility when the pain made it too difficult. My hands hurt so bad that I could hardly grasp the handles. My body retaliated against me and it hurt to stand up straight. 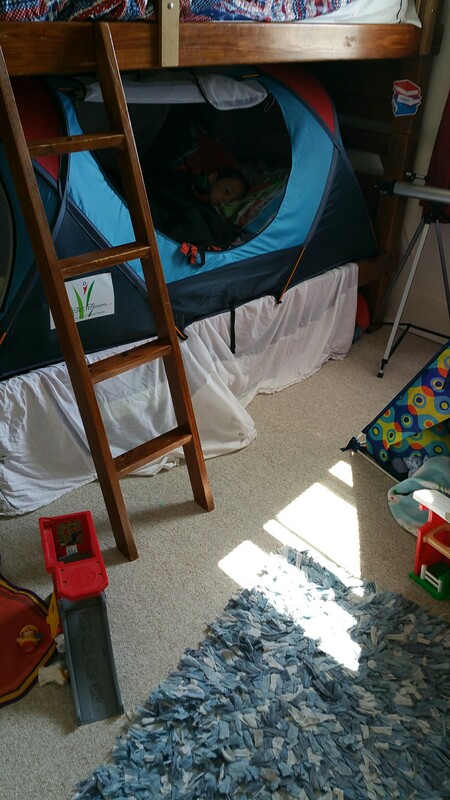 At the peak of my flare, the morning hours gave me the most pain and I had difficulty getting out of bed so my husband began to help me…. 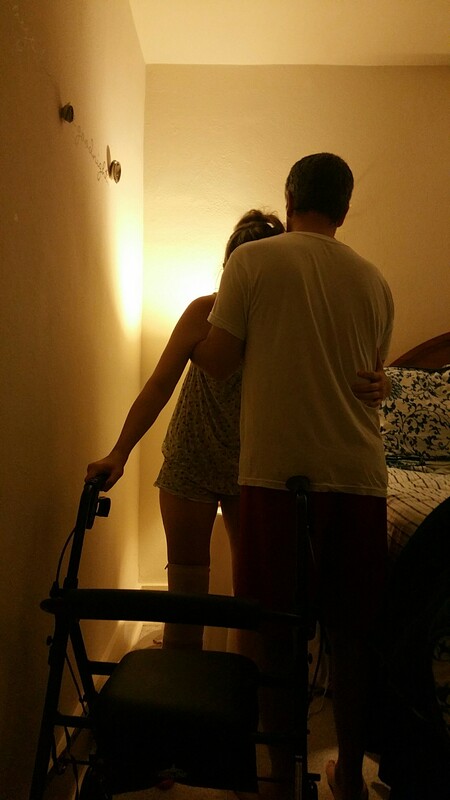 He helped lift me to my rollator…. And had to help me on and off the toilet. My knee was so full of fluid that I couldn’t get my leg over the bathtub. My hands hurt so bad that I couldn’t wash my hair, let alone squeeze my shampoo container without assistance. He waited outside the shower to help me wash my body and hair and help me in and out of the tub. 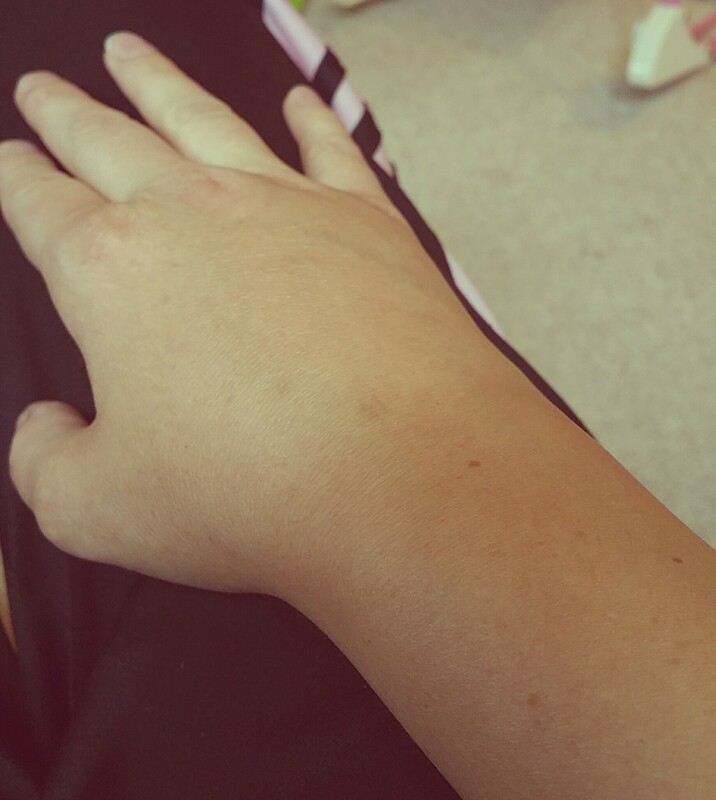 Even my hands swelled to the point of making everyday tasks difficult, so I started a small dose of oral prednisone. I eventually had to take two a day. It has it’s own unpleasant side effects, like sweating and mood-swings, but it helped me function. It was enough to reduce some of the problematic swelling but I was still in constant pain. It wasn’t the only medication I was taking to help me through my flare…. and there were more side-effects…. 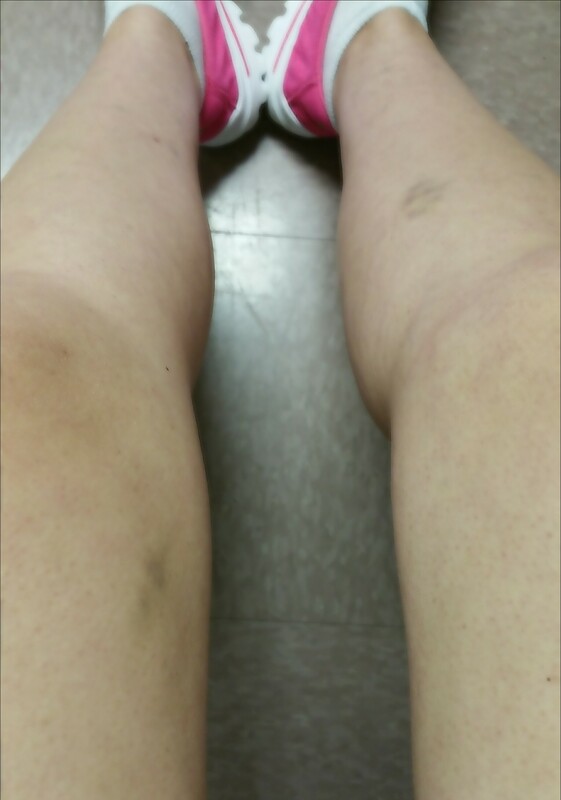 My legs were bruised from taking Naproxen. I was also getting headaches from my pain medication. 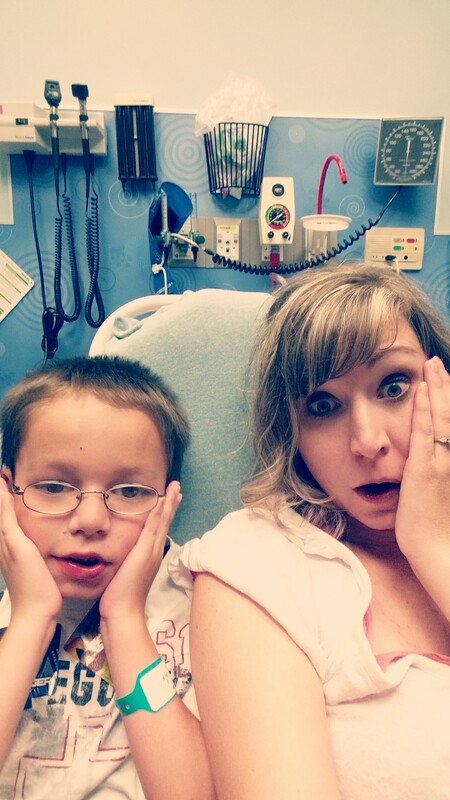 My son’s epilepsy didn’t wait for me to feel better. Sometimes he falls at the onset of a seizure. After, his limbs are immobilized and he is frequently exhausted. His seizures are physically demanding for both of us. I often have to lift, hold, or carry him to a safe place before and/or after a seizure. On this day he had a two minute seizure that took over his body. He could not move so he begged me to lay him in bed. It was hard for me to carry his worn body to his bed. We were both exhausted. It was all too much and I sobbed as he lay there. It was no surprise that the physical demands of motherhood and my special needs son began to take a toll. The pain became intense in my shoulder so the doctor ordered an MRI. I found out that RA has torn my shoulder to shreds. The six paragraph explanation made for interesting reading. 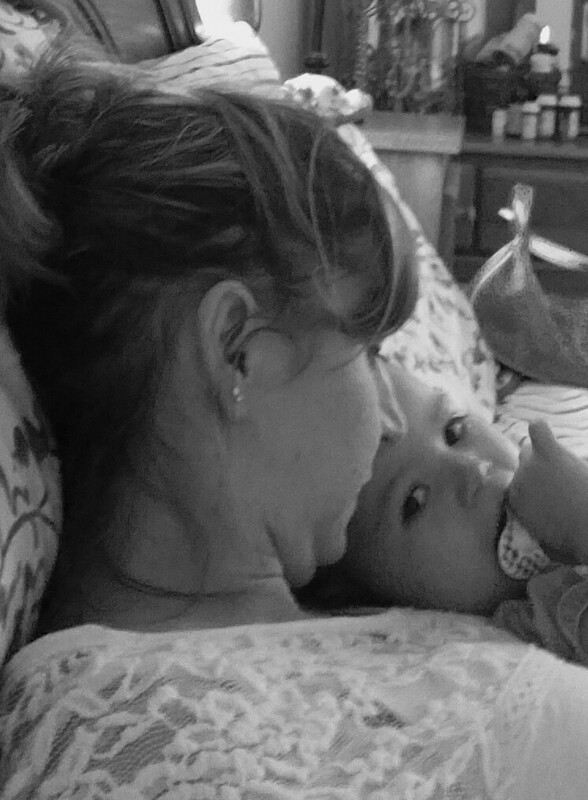 I have refused surgery as 12 weeks of recovery and therapy isn’t realistic for a mother like me. Another doctor appointment. Here I am waiting to see a pain management doctor. Nothing seems to be as cruel as living with chronic pain. It’s a daily struggle that I am desperately trying to conquer. Another bad day for my son’s seizures. On this day he fell to the floor before I could reach him. My leg had been so full of fluid that I could not get to him before the seizure knocked him to the ground. Although I was thankful he was inside and on carpet, the guilt of being unable to reach him before he fell ate away at me. He is pictured here after he finally stopped shaking. He once again had no control over his arms or legs so I had to lift him to the chair and sit with him until he could move. I pray for days when we cuddle just for the sake of cuddling, not because a seizure has prevented him from moving his own body. Between my special needs child and I, we spend a lot of time at doctors’ offices and in hospitals. What’s startling still is the realization that we will never get a financial break from the burden of disease and disability. It’s disheartening when my medicine cabinet is fuller than our pantry. In the evenings the kids often find me elevating my leg. Since my scare with steroid shots, I have been trying to allow my body to absorb the excess fluid naturally. It hasn’t been easy and I often need to elevate it to find relief. I also have a cyst on the back of my knee that may never go away, or so I have been told. On this night, my daughter found me, and I’m glad she did. Most of the time I look like a normal mom. I snuggle with my babies. That’s my family posing for lots of pictures during a rare trip away from home. 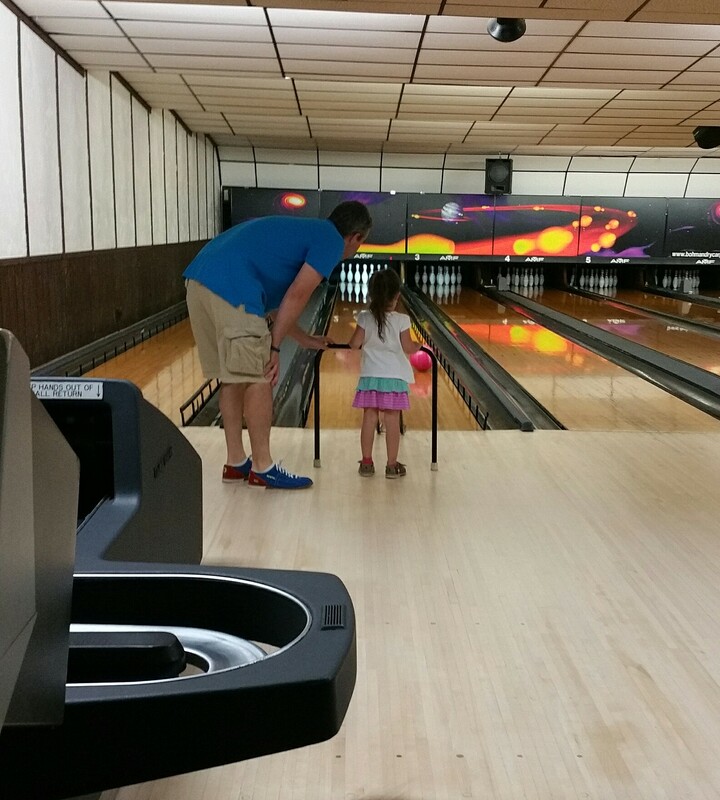 I can also be found at the bowling alley with my family although you won’t see me bowl. My hands hurt too bad to pick up a bowling ball and my body hurts too bad to roll one down the lane. ….but I am still much different. I know, it can be hard to see. And although I am allowing a glimpse into my life in hopes of changing the way others perceive it, there are still those remaining invisible facets to my life that are the most important. Today, I am getting better and working with my specialists to find the right plan to manage my disease. This will not be the last flare I will see but the goal is to reduce the number of them, manage my pain, and slow the progression of my disease. The most important goal for my health is to be a productive wife and mother. I most likely have a lifetime of care with my special needs son and I want to have that privilege as long as my health allows. We also continue to work on improving his life despite his disease. It has been hard but I look forward to every moment I am given, good and bad. The good times give me hope and the bad times allow me an appreciation of them. And love sees me through it all. One of the nicest things others have done for our family is bring a meal to our door when times are difficult. It was especially helpful when I was in the middle of my first, ugly Rheumatoid Arthritis flare. My family was able to enjoy a meal without the fuss of putting it together. We are equally grateful when we are invited to eat a meal with someone else. The invitation itself comes with the mutual understanding that mealtime with our family isn’t always seamless. We have four children under the age of 10, one of which is disabled. He has a great deal of anxiety at mealtimes and sharing a meal with him does come with a fair share of comprises. Having children of any age or ability can come with challenges but mealtime for us can be anything but relaxing. This may be why we are more than excited when we are extended an invitation. This same excitement was especially true over two thousand years ago when mealtime was a priority and sharing a meal had great significance. In fact, hospitality should be an active practice in the Christian faith. Luke 14:12-14: “He said also to the man who had invited him, ‘When you give a dinner or a banquet, do not invite your friends or your brothers or your relatives or rich neighbors, lest they also invite you in return and you be repaid. But when you give a feast, invite the poor, the crippled, the lame, the blind, and you will be blessed, because they cannot repay you. You will be repaid at the resurrection of the just.” This verse reminds me of the story of Zacchaeus. He was also someone who was rarely invited to a meal but got a big surprise when he was asked, and even more by who extended the invitation. In that time, it was an honor to house such a guest, let alone the son of God! The son of God just called down the most well known sinner in the crowd and asked to come to his home. What does this say about Jesus? What message was he trying to give to the watching crowd? I think it says many things about him. First, it says that Jesus did not let the disapproval of the crowd sway his decision. He knew what murmurs would come from the crowd once he asked Zacchaeus down from the tree. He knew it may cause a disruption and rumors, but he did it anyway. Jesus had a plan and that plan was for all people, especially those who feel like they have the most to hide. Second, it proves God can see the hiding sinner. Can you imagine what would drive a grown man, an employee of the government, up into a tree? He had a terrible job. He was the first person people would see when they had to hand their money over in taxes. Can you imagine the reception he received when there was a tax increase? The people of the time worked hard for their money and the taxes were not always fair. Zacchaeus had to collect the money one way or another, with no ability to be sympathetic with the people. Zacchaeus was well aware of his reputation. Who knows, maybe he had been in that tree since the middle of night as assurance he wouldn’t be seen. He was most likely a desperate man for a number of different reasons. It also shows how Christ lived by example. The above verse is summarized by specifying who should be invited to a meal. The ones we should be extending a meal to are those who are unable to repay the kindness. It’s easy to invite those we know and like to our table but how many meals would we extend to our enemies or a hungry stranger off the street? Jesus knew Zacchaeus was not offered invitations to dine with those who disliked him, yet he was the one person Jesus wanted to share a meal with that day. He didn’t ask us to do something he didn’t do himself. Maybe he knew how much could be learned about someone by sharing a meal. Imagine what could be accomplished by extending an invitation to those who feel like an outcast. It could very well save lives as Christ lived to save all people. Too many of us feel like Zacchaeus. We are ashamed and hiding. We think there is no way we are worthy to be in the presence of the Lord. Our sin, disappointment, and the opinions others have us scampering and hiding away from life. What we don’t realize is that Jesus sees where we are hiding, and most importantly, he sees what we are hiding. He already knows our deepest of secrets and he knows what we deserve and wants us to let him in. He did make an example of Zacchaeus that day, an example that is still true of the nature of the Lord. God seeks out all people. No one is too righteous or too sinful to be excluded from the love of the Lord. Jesus is standing under your tree. How will you answer his request to come into your home? Will you open your door or keep trying to hide all what he can already see? If you have already invited Christ in, what are you doing with his words? Who have you invited to your table? Will you be an example to the waiting crowd?